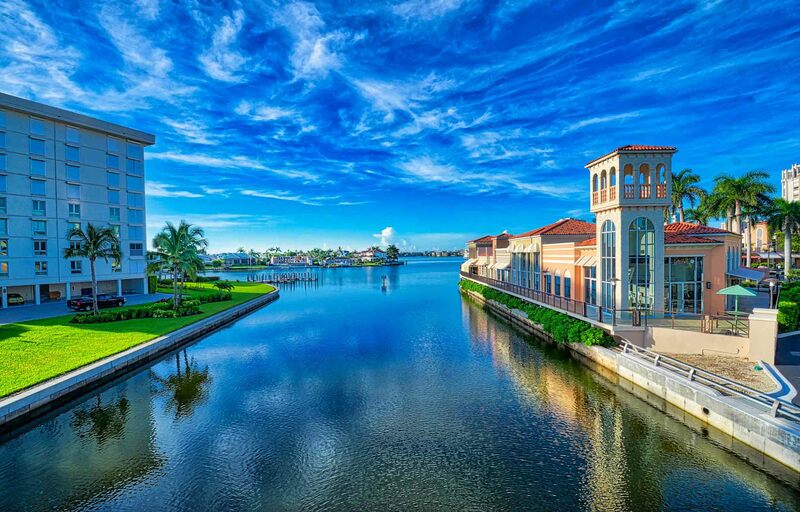 Sophistication, style, and charm are quite common traits of Naples, which is located just south of Bonita Springs. You get a very resort feel when you drive through the areas of Pelican Bay, Park Shore and Olde Naples. Many high-rise luxury condominiums and expensive beachfront mansions line the Gulf of Mexico along Naples shores. A trip to downtown Naples offers a vast selection of world class shopping and dining, along with a very large collection of art vendors. Beach access is plentiful all along the Gulf of Mexico in Naples. Many of the boulevard medians are meticulously maintained with gorgeous landscaping. Naples has an airport near the downtown area that accommodates numerous private aircrafts and small jets. 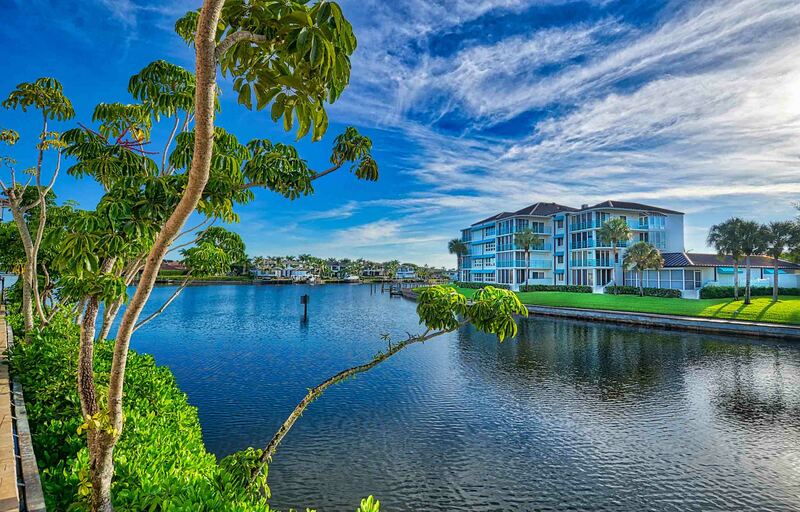 The real estate pricing in Naples is some of the highest in the state of Florida. Many fabulous golf and non-golf communities are found in Naples, which is growing and expanding with attention to detail to manage the growth. Take exit 111 (Immokalee Rd), 107(Pine Ridge Road), 105(Golden Gate Pkwy), or 101 (Collier Blvd.951) off I-75 to Naples. GOLDEN GATE ESTATES Homes: This fully furnished Arthur Rutenberg pool home features over 4,300 square feet of living area and no HOA fees. You are just minutes from shopping, restaurants, golf and beaches. This home features 5 bedrooms, 3.5 baths, 3 car garage that is under air and fully finished, study, pool, spa, summer kitchen, gas fireplace and a fire pit. The kitchen has a walk-in pantry, granite counter tops, stainless steel appliances and double wall oven. The home features formal living and dining rooms, den/study, family room, pool bath, summer kitchen and a magnificent master suite. The master suite features over 450 square feet of living area with 2 walk-inclosets, dual sinks set in marble, jetted tub and walk-in shower. The pool area features a summer kitchen, storage and over 2,800 square feet of pure privacy. This is a must see on 2.22 acres. In addition, to add to the uniqueness of this property, the entire property has been cleared and the backyard is completely open to build a guest home, tennis courts or any other add on. The house in being sold fully furnished and has been decorated by a professional decorator. MOORINGS Homes: Start planning your dream home on this oversized lot! Property offered AS IS priced at land value! Just minutes to our Naples white sandy beaches. Perfect buildable opportunity in Moorings close to the beach, shopping and fine dining.. build your dream home on the largest South Western rear exposure lot in the current market. Overside lot at .44 acres, Lot front 124 x 188/160 deep x 94.64 back, located in X-Zone/500 to save on flood insurance and no FEMA building limitations. Located in the Moorings where multi-million dollar, new construction can be found throughout. Membership to Private Moorings Beach Club, directly on the Gulf, available to Moorings residents. CONNERS at VANDERBILT BEACH Homes: Masterfully renovated Gulf access 3/3 with vaulted ceilings located on the widest canal! Open and airy great room with amazing wall of glass overlooking the water. Plantation shutters, porcelain plank flooring, new kitchen, over sized master bedroom with luxurious master bath and huge master closet. Fabulous pool area is inviting and perfect for entertaining. Lush over sized backyard. Over 150" feet of seawall on this expanded lot. One side has 210" affording a long view down the canal boasting gorgeous views and ever changing nightly sunsets! New boat dock with canvas awning and 5 ton lift (is expandable), minutes to the gulf... room for additional dock. Come, paradise awaits. Vanderbilt Beach offers white sugar sand, The Ritz, Mercato, and fine dining and shopping. Tennis enthusiasts will find challenging matches on nearby Pelican Bay Community Park"s well-kept and lighted public clay courts. The ultimate in boating from your own back yard. Bike to the beach! STONEGATE AT CROSSINGS at CROSSINGS Homes: Soon to be FEATURED ON HGTV HOUSE HUNTERS! This majestic courtyard pool home in the heart of Naples featuring 3,577 square feet in the main home and an additional 510 square feet in the cabana which can be used as a separate mother in law suite. Major curb appeal at the end of a stately cul-de-sac on over an acre of land, this lot evokes Pine Ridge Estates living in the gated community of Stonegate. Four bedrooms with two and a half bathrooms in the main home, and an additional bedroom and bathroom in the guest house provide plenty of room for family and guests. Unique features include a grand chefs kitchen covered in granite and beautiful cabinets, separate covered and screened in patio areas for the guest bedrooms and the master bed, a summer kitchen in the courtyard, grandiose 1,468 sf travertine covered pool deck, a 250 gal propone tank servicing the kitchen range, fireplace and summer kitchen. The expansive pavered circular driveway surrounds an elegant water feature and leads to the roomy 3 car garage. New roof in 2017, recently updated finishes and large open spaces, this home is ready for your buyer"s personal touches to make it their own. "We have just purchased a home in Bonita Springs Florida, we started looking a year ago and finally found and closed on a home just a little over a year later. The Realtor we used was Ken Obrien from Southwest Coast Realty out of Naples. First let me say I am a builder, land developer, and appraiser in Illinois for over 30 years and in that time I have worked with hundreds of Realtors and I can truly say there are only four of them I would ever recommend and Ken is certainly on the top of that very short list. Ken was always their when we needed him, he is extremely knowledgeable about the entire southwest gulf coast area and is very professional. He constantly stayed not only in touch with us but insurance people, lawyers, home inspectors, ETC.  He is also a wealth of information if you are coming from out of town he can recommend any and all other professional people needed to buy or sell a home. " "My travels to all parts of FL have been plentiful over the last several years. A year ago while vacationing I found a home I was very interested in and had to see it right then. It was a Sunday evening and I had gotten Ken O'Brian's name and number from a friend. I called and without hesitation Ken said he would meet at the property. Ken had to drive 30 minutes to the location. He was there with in 35 minutes including travel time. Although that property didn't work out for me. Ken and I stayed in contact over the year. Ken sent me homes that were suited for all my needs. A few more fell through the cracks until recently. Ken found me the home of my dreams. He went way above and beyond the duties of a realtor. Ken is more then professional. He stays in contact always through email and always follows up with a text to notify you of the email. He is patient and very understanding but most importantly listened to my wants and needs. As I am a buyer out of state, he hooked me up with all the right people. Ken is your guy! " "Ken, I just wanted to say thank you for helping us find a vacation home in Naples. Our trust in you was very well placed. We were a little nervous about the process of buying a home in Florida, but you guided us through the whole process. You took the time to explain the area to us, and helped us match our requirements to what the various communities had to offer. Your patience while we kept asking for listings was appreciated. When we had our choices narrowed and we came down to Naples, your insights on setting our offer price let us get the place we wanted at a good price. Even on the closing day, you found a small issue, highlighted it to our lawyer and got the problem immediately resolved. End to end it was a great experience, and I would heartily recommend South West Coast Realty to not only other Canadians looking for a vacation home, but to anyone looking for a home in South West Florida. Thanks again. " ST LAURENT at PELICAN BAY Condos: Soon to be FEATURED ON HGTV HOUSE HUNTERS! This majestic courtyard pool home in the heart of Naples featuring 3,577 square feet in the main home and an additional 510 square feet in the cabana which can be used as a separate mother in law suite. Major curb appeal at the end of a stately cul-de-sac on over an acre of land, this lot evokes Pine Ridge Estates living in the gated community of Stonegate. Four bedrooms with two and a half bathrooms in the main home, and an additional bedroom and bathroom in the guest house provide plenty of room for family and guests. Unique features include a grand chefs kitchen covered in granite and beautiful cabinets, separate covered and screened in patio areas for the guest bedrooms and the master bed, a summer kitchen in the courtyard, grandiose 1,468 sf travertine covered pool deck, a 250 gal propone tank servicing the kitchen range, fireplace and summer kitchen. The expansive pavered circular driveway surrounds an elegant water feature and leads to the roomy 3 car garage. New roof in 2017, recently updated finishes and large open spaces, this home is ready for your buyer"s personal touches to make it their own. POINTE AT PELICAN BAY at PELICAN BAY Condos: Soon to be FEATURED ON HGTV HOUSE HUNTERS! This majestic courtyard pool home in the heart of Naples featuring 3,577 square feet in the main home and an additional 510 square feet in the cabana which can be used as a separate mother in law suite. Major curb appeal at the end of a stately cul-de-sac on over an acre of land, this lot evokes Pine Ridge Estates living in the gated community of Stonegate. Four bedrooms with two and a half bathrooms in the main home, and an additional bedroom and bathroom in the guest house provide plenty of room for family and guests. Unique features include a grand chefs kitchen covered in granite and beautiful cabinets, separate covered and screened in patio areas for the guest bedrooms and the master bed, a summer kitchen in the courtyard, grandiose 1,468 sf travertine covered pool deck, a 250 gal propone tank servicing the kitchen range, fireplace and summer kitchen. The expansive pavered circular driveway surrounds an elegant water feature and leads to the roomy 3 car garage. New roof in 2017, recently updated finishes and large open spaces, this home is ready for your buyer"s personal touches to make it their own. ALLEGRO at PARK SHORE Condos: Soon to be FEATURED ON HGTV HOUSE HUNTERS! This majestic courtyard pool home in the heart of Naples featuring 3,577 square feet in the main home and an additional 510 square feet in the cabana which can be used as a separate mother in law suite. Major curb appeal at the end of a stately cul-de-sac on over an acre of land, this lot evokes Pine Ridge Estates living in the gated community of Stonegate. Four bedrooms with two and a half bathrooms in the main home, and an additional bedroom and bathroom in the guest house provide plenty of room for family and guests. Unique features include a grand chefs kitchen covered in granite and beautiful cabinets, separate covered and screened in patio areas for the guest bedrooms and the master bed, a summer kitchen in the courtyard, grandiose 1,468 sf travertine covered pool deck, a 250 gal propone tank servicing the kitchen range, fireplace and summer kitchen. The expansive pavered circular driveway surrounds an elegant water feature and leads to the roomy 3 car garage. New roof in 2017, recently updated finishes and large open spaces, this home is ready for your buyer"s personal touches to make it their own. LE PARC at PARK SHORE Condos: Soon to be FEATURED ON HGTV HOUSE HUNTERS! This majestic courtyard pool home in the heart of Naples featuring 3,577 square feet in the main home and an additional 510 square feet in the cabana which can be used as a separate mother in law suite. Major curb appeal at the end of a stately cul-de-sac on over an acre of land, this lot evokes Pine Ridge Estates living in the gated community of Stonegate. Four bedrooms with two and a half bathrooms in the main home, and an additional bedroom and bathroom in the guest house provide plenty of room for family and guests. Unique features include a grand chefs kitchen covered in granite and beautiful cabinets, separate covered and screened in patio areas for the guest bedrooms and the master bed, a summer kitchen in the courtyard, grandiose 1,468 sf travertine covered pool deck, a 250 gal propone tank servicing the kitchen range, fireplace and summer kitchen. The expansive pavered circular driveway surrounds an elegant water feature and leads to the roomy 3 car garage. New roof in 2017, recently updated finishes and large open spaces, this home is ready for your buyer"s personal touches to make it their own. CARLYSLE AT BAY COLONY at PELICAN BAY Condos: Soon to be FEATURED ON HGTV HOUSE HUNTERS! This majestic courtyard pool home in the heart of Naples featuring 3,577 square feet in the main home and an additional 510 square feet in the cabana which can be used as a separate mother in law suite. Major curb appeal at the end of a stately cul-de-sac on over an acre of land, this lot evokes Pine Ridge Estates living in the gated community of Stonegate. Four bedrooms with two and a half bathrooms in the main home, and an additional bedroom and bathroom in the guest house provide plenty of room for family and guests. Unique features include a grand chefs kitchen covered in granite and beautiful cabinets, separate covered and screened in patio areas for the guest bedrooms and the master bed, a summer kitchen in the courtyard, grandiose 1,468 sf travertine covered pool deck, a 250 gal propone tank servicing the kitchen range, fireplace and summer kitchen. The expansive pavered circular driveway surrounds an elegant water feature and leads to the roomy 3 car garage. New roof in 2017, recently updated finishes and large open spaces, this home is ready for your buyer"s personal touches to make it their own.